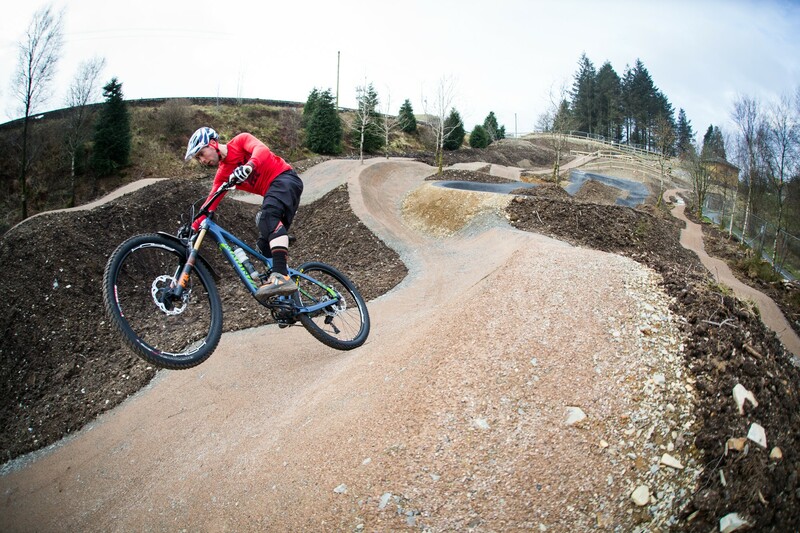 We’ve been sharing updates with you on the skills track developments happening at Bwlch Nant yr Arian, and now a date has been set for the official opening with mountain bike World Champion, Rachel Atherton. The new investment at Bwlch Nant yr Arian, near Aberystwyth, is being officially opened with a day full of activities on Saturday 4 March from 10am. The new purpose-built track is a chance for people of all ages to practice their technique or just warm up before hitting the longer trails which start from the visitor centre. The site has been carefully selected so it doesn’t affect the other trails or the view of the lake. The area will also be landscaped and trees planted around the track. Natural Resources Wales has been working with Summit Cycles, who are based in Aberystwyth, to arrange this joint launch event. People are welcome to the visitor centre from 10am to try out the track and look around mountain bike stands from Summit Cycles, Trek Bikes, and Ystwyth Cycling Club. Rachel Atherton will be officially cutting the ribbon at 11am, alongside NRW Board Member and Deputy Chair, Dr Madeleine Havard. There will also be a prize giveaway where one lucky visitor will walk away with a Trek Ticket Dirt Jump bicycle frame worth £600, as ridden by Atherton Racing. MBWales.com are hoping to be present at the launch and we’ll keep you updated on news leading up to the event. It’s the Year of Legends here in Wales. So, what’s in a name? We Ride in Any Weather…..